Waiting for announcement for the home video release of the 1 billion yen blockbuster movie? Then wait no more as CDJapan has opened the pre-orders for the Kamen Rider Heisei Generations Forever DVD and Blu-ray. The recent film that commemorates the 20th anniversary of the Heisei Kamen Rider era will be released in 2 versions; regular and DVD/Blu-ray collectors pack and will contain the trailer for the movie. The collectors pack edition will contain the following: bonus disk featuring the making of the movie, event footage, spots, data files and poster gallery while the Blu-ray version will also have a audio commentary. 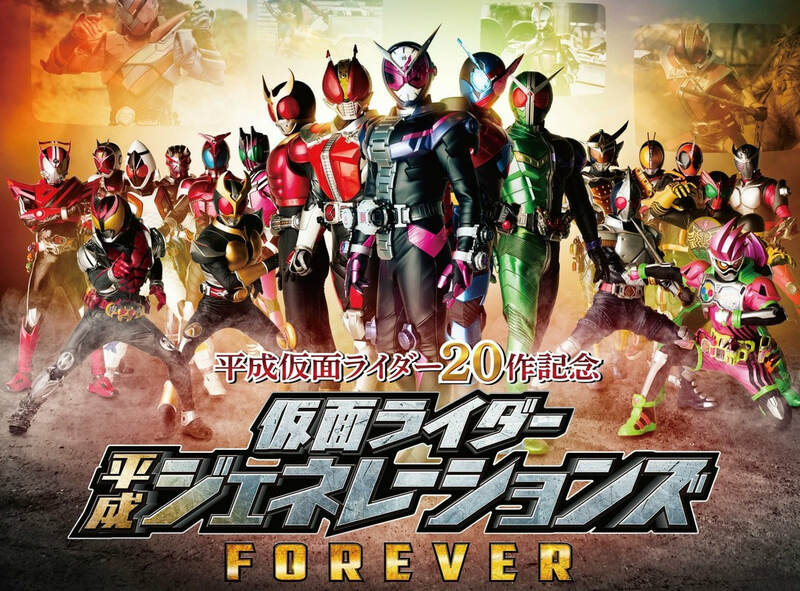 The home video release for Kamen Rider Heisei Generations Forever is set for May 8th and you can pre-order your copy by visiting the links below.